Just thought I would share my experience with the following part in case anyone else had trouble as well! Figuring it out was not a big deal in the end but I thought I would share in case anyone else got stuck. 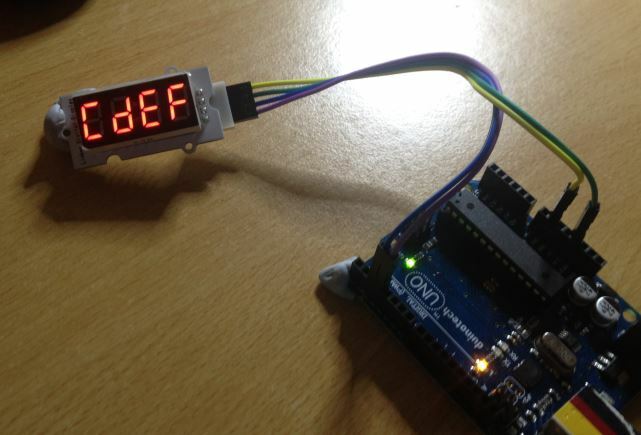 I bought the Linksprite 4 digit 7 segment display for a nice easy way to get going with a ‘clock’ display. I bought it from Jaycar in Australia, the product came with no instructions but Jaycar usually have links to datasheets etc. on the product page on their website. So I followed the link to a a good product wiki page from the Linksprite team, it had a link to the Arduino library and an example. Unfortunately the pinout was the part that got me stuck! I couldn’t see the pinout on the module so on the linksprite page there is a link to the schematic which shows the pinout near a diagram marked P1. I thought that this meant ‘Pin 1’ So when I looked on the module and saw ‘P1’ I thought this referred to pin1, and wired it up as shown in the schematic, and this was incorrect! 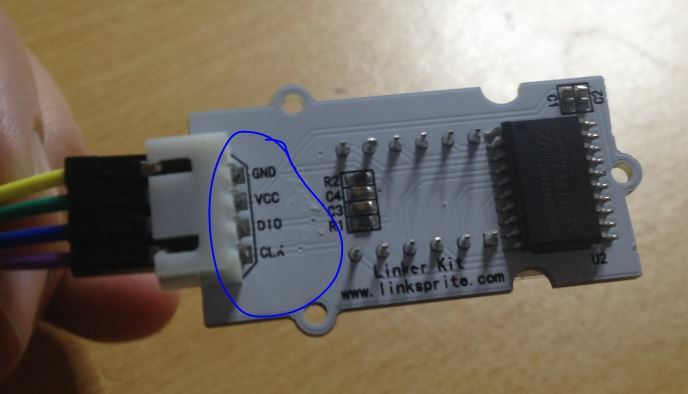 Really, P1 referred to the whole ‘connector’ as a part, and was not at all any indication of pin 1. 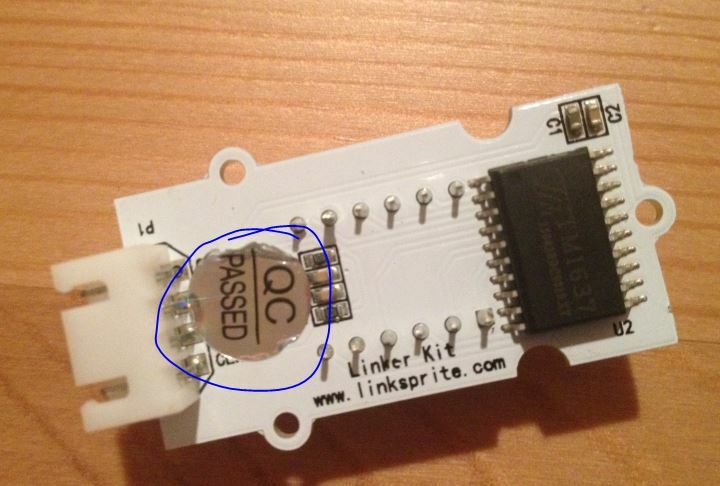 The main problem was that the QC inspector covered up the pinout markings with the ‘QC Passed’ sticker so I couldn’t see the appropriate descriptions. So I guess the lesson learnt is when reading schematics, don’t let part identifiers distract you.